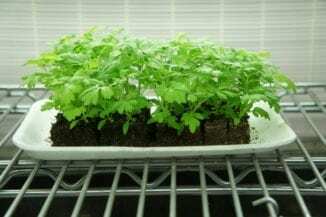 Tray of 40 Feverfew seedlings in mini soil blocks waiting to go to the garden to be planted. We will kick off this year’s growing season soon. I have been planning and ordering seeds for weeks. A few seeds have been started already; those hardy annuals that will actually be planted out in the garden around March 1 give or take a day. But the big push for a spring and summer full of flowers and vegetables all begins for us mid-March. We follow a weekly seed starting schedule starting all the tender-annual plants that will produce like mad all season long. Plant room seedlings grow rack. 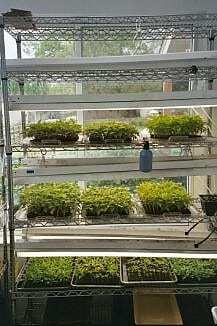 I absolutely love this time before the harvest season gets going and I can linger in the plant room. Watering, rustling the seedlings to help them grow up strong, and I find myself just looking and watching. One of my favorite lines from our community folk operas I was involved in years past (before farming) was about the calming and satisfying effects of being in the presences of cows. I couldn’t agree more. A cluster of 20 lemon basil seedlings in mini blocks. The only thing I enjoy more than tending baby plants is sharing with others how they can do the same. Following is a reprint of tips that may help. Starting too early: For most of us it is too early to start warm-season tender annuals such as, zinnias, cockscomb, sunflowers, etc. February is the time to start cool-season hardy annuals—snapdragons, sweet Williams, spinach, beets, lettuce, and lots of other candidates. These cool-season lovers can be planted as soon as the soil can be worked—meaning dry enough. Iti s better to start on the later side of time to have a younger healthier transplant then an older overgrown one. Planting seeds directly out in garden when they prefer to be started indoors: Every seed has a preferred method of starting life. This translates into the easiest and most successful way for seeds to sprout and grow into a plant. If you don’t know which way the seed you have prefers, Google the name of the seed with “sowing instructions”. 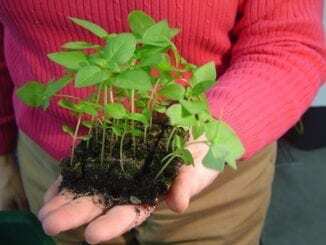 Skipping a seedling heat mat: Perhaps the leading cause of poor sprouting and survival of seedlings indoors is cool soil. Most seeds sprout at 75 to 85 degrees. Soil temperature runs approximately 15 to 20 degrees cooler than the surrounding room temperature. If your house temperature hoovers at 70 degrees that means that the soil is around 55 degrees. A seedling heat mats is a small investment when you consider your efforts and how many seeds you are losing. 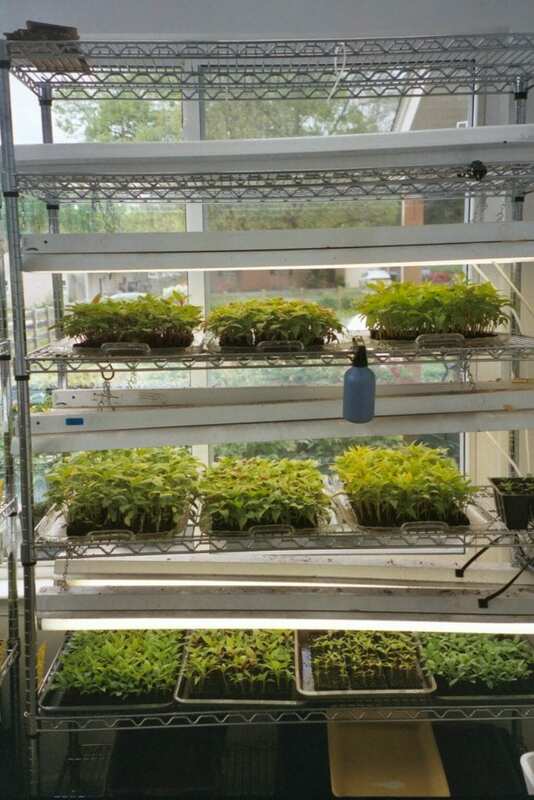 No grow light: Baby plants need 16 hours a day to grow into a healthy transplant. We don’t have 16 hours of natural sunlight a day. When plants don’t get enough light they start stretching and looking for it. This is the cause of tall lanky plants; they stretch as they search for light. Short stocky plants out produce tall lanky plants, are more resistant to disease and pests and just healthier all around. I hope this helps clears the way to a successful seed-starting year! Hi! I love this website and how eager you are to help! My question is on pinching back zinnia. While the plants are still small, do I need to pinch them back any or do I just harvest low like in your video once I’m ready for the first flower cut? Any help would be appreciated. Thanks! It is an either / or –you can pinch which delays the first bloom but starts branching sooner or let the central stem bloom and the first cut will be like the pinch.